Motorola has introduced a new and faster way for some smartphone users to send an alert, so friends and loved ones can know where they are, and track them down in an emergency situation. 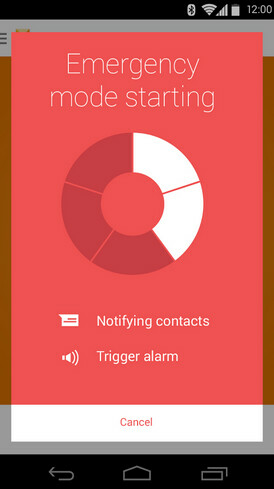 Available right now, only for the Motorola Moto G LTE and the new Motorola Moto E, Motorola Alert gets users quickly connected to emergency services, and can alert specific contacts with just one tap of the finger. 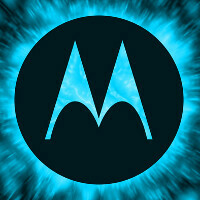 When the Motorola Alert user enters or leaves certain pre-determined areas, a list of contacts can be alerted. You can even designate certain areas like home, work, or school. 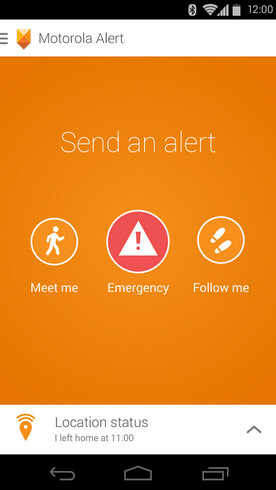 This way, those receiving the alerts know exactly when the user of the app arrives or departs from specific locations. And the app can be set up to ping specified contacts with the user's latest location (via GPS) periodically. As we said, the app works right now on the Moto G LTE and Moto E, but an update to the app will soon allow it to be supported by the Motorola Moto G and the Motorola Moto X. You can find the app right now in the Google Play Store. So "meet me" and "follow me" really don't sound like the typical emergencies. Maybe something you'd use when you have a romantic emergency. Or are cheating on your spouse or significant other. There's an app called "meet me"